Oats Park Art Center, located in a town of fewer than 9,000 residents, rivals many big city arts and entertainment venues. Once a former grammar school designed by Reno architect Frederick DeLonchamps in 1914, the building sat vacant for nearly 30 years after an earthquake caused structural and cosmetic damage in 1954. Now the two-storied building is again alive with activity and visual vibrance. The façade of Oats Park Arts Center still retains the old charm of an early twentieth century school. How did a building that was condemned and boarded up for more than a quarter of a century complete the extensive metamorphosis needed to become a state of the art cultural center? The Churchill Arts Council, a group of local art supporters who arranged community entertainment, were looking for a permanent venue for their expanding program. Member Pat Getto had visited an torpedo factory in Washington D.C. that had been turned into an art center and suggested the possibility of doing a remodel rather than building from scratch. With public support the council managed to raise $10 million to resurrect the decaying structure and give life to center that houses three art galleries, a luxurious performance theatre, a café and bar and a large outdoor events patio. Of course, the process did not happen overnight. Fundraising took ten years and the renovation was a lengthy process. All of the effort proved to be successful when in 2003 two back-to-back performances packed the house. “The theatre has 350 seats,” said Serpa. The theatre was not original to the building but was added to the structure to provide maximum seating. Besides the rotating art the center also has a permanent collection with many pieces having been donated to the organization. Starting December 1 the center will be hosting two new art exhibitions. “Pressplay: Recent Works” by Karl Schiesow is a collection of uniquely shaped ceramic works. 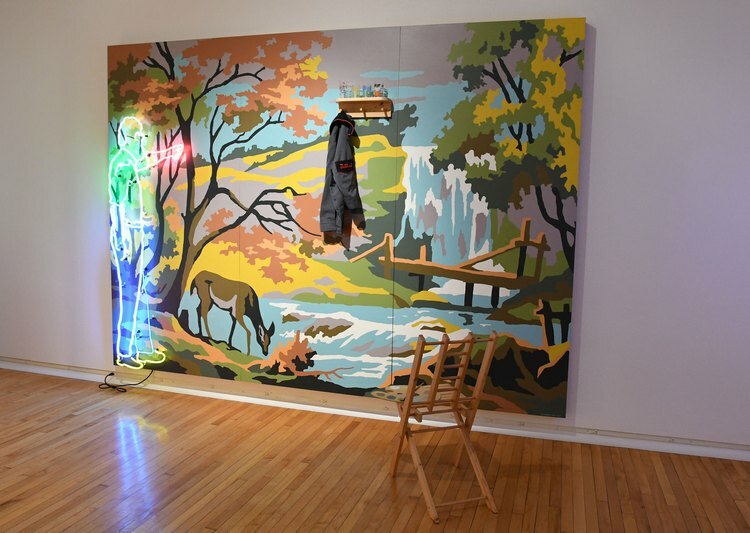 Kevin Bell is exhibiting “Contingent Lands: Place in the Contemporary West.” Not your normal scenery, Bell’s paintings often depict landscapes with rarely portrayed human elements like trashcans and park benches. On March 3 Oats Park Center is hosting their annual “Evening with the Arts,” a dinner and fundraiser. This is the 32nd annual dinner and silent auction with many artworks, vacation getaways and other desirable items donated by local and regional artists and businesses. 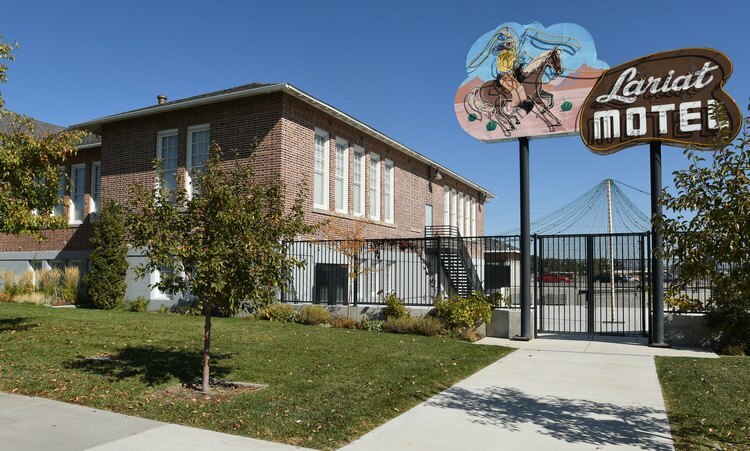 On your next visit to Fallon don’t miss the opportunity to visit this historic gem and the incredible artwork on the walls of a former learning establishment. The center is open during events but visitors wishing to see the place at other times can make special arrangements for one of the members of the board to give them a private tour. Contact them in advance at 775-423-1440 or charts@phonewave.net. Their website is churchillarts.org. Upon entering, you will certainly be as amazed as I was to see what can happen when the power of art and people with a vision can come together. The Churchill Arts Council revived a relic from the “three Rs” and created a forum for the future. “Here’s this beautiful building, and there was a group who was interested in the arts and a group interested in saving the building, and it created this nice synergy between all these people,” Serpa said.